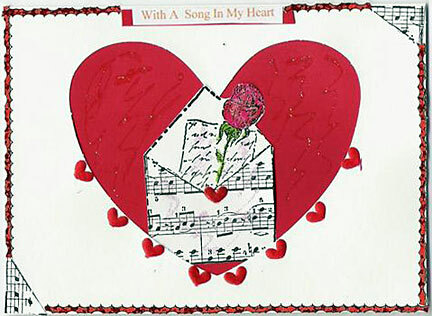 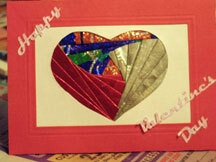 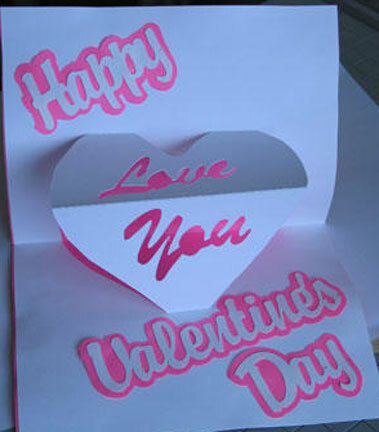 Happy Valentine Day cards created by members. 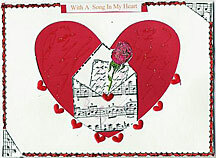 These Valentine Day Cards are homemade cards created by the ladies of a Yahoo group. 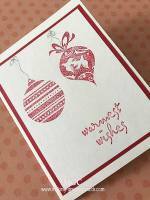 Look out for new names like Jenny Hubbard from the States whose hobbies are rubber stamping,paper crafts of all kinds,cake decorating and sewing; Yvonne Meyer from New Zealand who also loves rubber stamping and Barb Ingerson also from the United States. 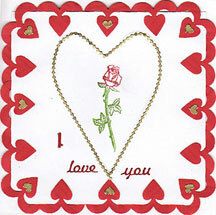 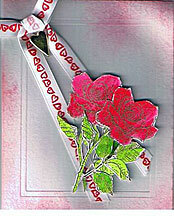 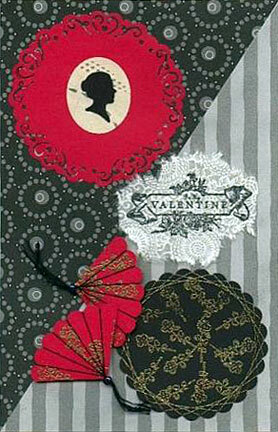 Barb Ingerson has more cards in the another Valentine card page. 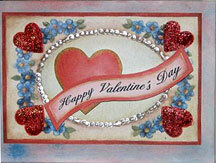 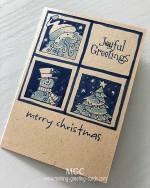 Barb loves to cross stitch, crochet, making cards and rubber stamping. 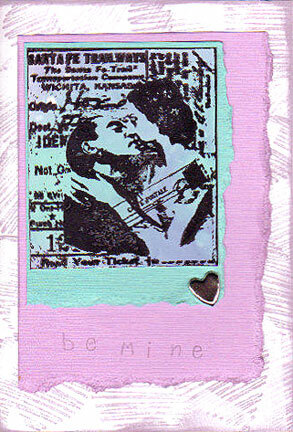 More rubber stamp addicts like me? 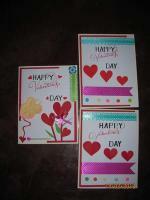 Beside Jenny, Yvonne and Barb, Rox has also submitted 2 of her creations; an Iris Folding card and also a Pop-up Valentine card. And not to forget Karen Knetgen and Pat McConnell whose beautiful creations also grace this page. 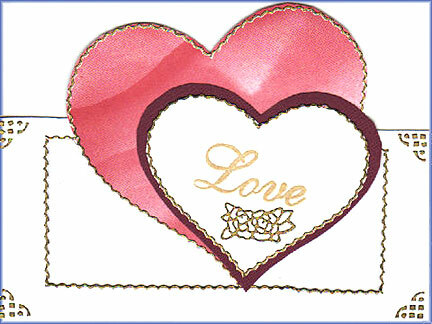 Note: You can view a bigger version of the following handmade Valentine Day cards by placing your mouse curser on the image and click. 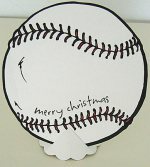 A new window will open with the bigger image. 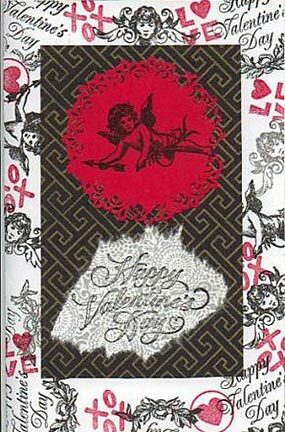 When finished viewing, just close the window and come back here to view the other cards. 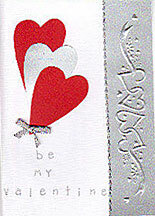 Cards #2 and 3 do not have bigger scans. Note : This card does not have a bigger scan.